Eco-Innovation consists of developing or redesigning products that provide higher value to the customer, but whose environmental impact is significantly lower. The use of new materials, processes and technologies in a product or the application of Best Available Techniques (BAT) is what allows the Eco-Innovation of a product. Therefore, an Eco-Innovative product is an environmentally and technologically improved product. better product/company image and market positioning. lower risk of technological obsolescence (technological improvement). The implementation of Eco-Innovation in the company requires on the one hand, information (see RESOURCES), and on the other hand, tools to facilitate its practical application and decision-making, such as LiMaS WebSuite or the FREE TOOLS. 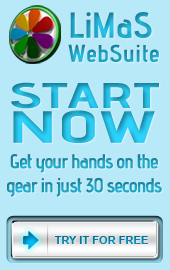 » SIGN UP AND TEST THE BETA VERSION OF LiMaS WebSuite FREE OF CHARGE. » Sign up and KEEP INFORMED on Eco-Innovation and also test our FREE TOOLS.